You asked for it and we listened! It has been widely suggested that Journals be eligible to be featured as Daily Deviations. So starting today, the talented StephenieMeyer will be eagerly awaiting your suggestions! OscartheGrouch will be taking care of Scraps and Storage to uncover those hidden gems that are truly.. hidden. DressI bought a new dress, and I look fabulous in it! Of course I look fabulous with anything, lol! ShampooI wonder what would happen if I decide to use conditioner BEFORE shampoo today... mmm I'll keep you posted... if I return. Shower thoughtsAll the perplexities, confusion and distress in America arise, not from defects in their Constitution or Confederation, not from want of honor or virtue, so much as from the downright ignorance of the nature of coin, credit and circulation. Also, I need to buy some milk. You will now be able to send your suggestions via your thoughts! Just think of the appropriate volunteer (according to this list) while looking at the deviation you want to suggest. From now on, Daily Deviation suggestions will be received on Mondays, Wednesdays and Fridays, from 8:00am to 1:00pm and from 2:00pm to 5:30pm PST Please note exceptions: Not applicable the first Monday of each month, in which case it will switch to Tuesdays. Also affecting the third Wednesday of each month which would switch to Thursday, except in the event of a Full Moon. Furthermore, if it is a leap year, it would be Saturdays, not Fridays, but only for January and February. If you're interested in learning more about being a volunteer on deviantART please read FAQ #85: Can I be a volunteer on DeviantArt? The Community Relations department exists to encourage, facilitate and develop the relationship with our deviantART community. Our goal is to nurture our community by encouraging, stimulating artists to create, collaborate, and participate in a friendly, safe, and supportive artistic environment. 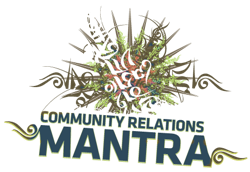 Watch communityrelations for up to date news and to learn how you can get involved in projects and events! Bi-Monthly newsletter from the Community Relations team. Follow our group communityrelations to stay up to date with what's going on within the DeviantART community! This is actually very interesting for me to read. It's so intriguing for everyone to read. Maybe add a journal skin to pimp it up more. Wait, why haven't the deviants who are going to be CVs (when we click their names, leading us to their profiles) have the CV symbol next to it? "Deviant Events > OMG there is a hacker loose again "
obviously not the mind part I'm not stupid.. lol but the new categories and such I was thinking that was ridiculous LOL! I thought this was serious for a second and was having a mini heart attack behind my screen! Phew, good one! Photobombing is real right? pleeeaaase??? If they actually would allow us to suggest journals for DD's, I'd suggest this one. but is any of this legit? Wow! I can't wait to see some of the selfie DDs! I hope some duck faces will be featured as well, they are always so creative and deep. Where's the Facebook status poetry gallery? We need starbucks. Latte it happen!! There should be a category for comedy! Ooo, I'll go check it out! Thanks! Ok! I will have to check it out! Thanks! Damn, I want to be the CV for Photobombing. You guys got me there XD I was like wtf is that starbucks subcategory? No, I am stating that I, personally, find these "sub categories" completely stupid. They are not even GOOD categories, they are categories for the lame and POPULAR crap, that you see "on the internet". I am sorry, but no. I can not support this. So are you completely oblivious to the bottom of the article where it says Happy April Fools? or are you trolling me? During November each year, Movember is responsible for the broken relationships between men and their razors. Donning their moustaches, these men raise vital funds and awareness for men's health - specifically prostate cancer. A Note on Daily Deviation FeaturesAt ten features into my tenure as Community Volunteer for Abstract & Surreal Photography I am noticing a certain trend in response to abstract and surreal Daily Deviations. I shall address some of the recurring themes here, and hopefully answer some questions along the way. At this point I would like to mention that I am talking about a small and vocal minority, and I sincerely thank the overwhelming majority for supporting the featured artists and their work. You're what makes this site such a great community. With that said, let's get to the troublesome themes I am coming across. Celebrating Diversity #27The idea behind the Celebrating Diversity Project is to post an article with deviations outside of my area of expertise here on deviantART. Therefore I decided to browse away from Photography, and venture into areas that I know little about! I strongly encourage you to step out of your zone of comfort and take the time to discover or re-discover other types of art. The world is full of wonder and beauty, we just need to take the time and open our minds to see even more of it - embrace the diversity of it! 3. Why Wasn't I Chosen? Why you feature stolen work?!? !Lately there seem to have been a few myths flying around in particular with regards to how we as Community Volunteers, give Daily Deviations. Many people seem to think that we sit at our desks in dark little rooms and let out evil laughter whilst we purposefully feature stolen work. The dark rooms and laughter - well I can't say yes or no on that one! But I can promise you it's not our intent to give exposure to people who have stolen work. I recently featured a piece of work that turned out to be stolen. However I went into extensive conversations with the artist before I featured it, and with added metadata and dates, it's difficult to know where to draw the line. I've given people the benefit of the doubt before - and it's worked out nicely as their work has been legitimate. Below are some comments I have seen being thrown around the past few days - and hopefully an attempt to bust the myth. Halloween is coming up fast and the Artisan Crafts CV team wants to throw a special contest in it's honour. At the same time we want to promote the Artisan Crafts community so all of the entries will have to be categorized as such to be eligible. The contest starts on September 18th and ends on November 1st 2013. If your entry does not follow these rules, it will be automatically disqualified!!! 1 entry per category maximum. Artisan Crafts only! !Entry must be created on or after start dateLink to this contest so that we know you've read and understood the rules!!!!!!!!!!!!!!!!!!!!!!!!!!! Every CV only acts within the areas they are trained in. That means that generally, a gallery CV will not moderate chatrooms or forums or give DDs for artworks in other galleries (unless having permission). And no chat/forum CV will give DDs. In some instances, some volunteers are trained in Chats & Forums and Galleries and have permission to cross-over. To be certain, you can view the whole roster of volunteers here and see what area a volunteer is representing. Any volunteer can be easily recognized by the heart, next to their username. Art History is a Community Relations Project - looking at the History of the genres and art we love today. This is open to any member of dA. CV's, Senior members, Beta testers, Subbed and Unsubbed accounts - EVERYONE. Hosted by the communityrelations Team, we will have a night of Art History Trivia, sharing Artwork and conversations about the History of Art! Date: Friday 20th December Please note change in day!